Key Difference: Abstract methods are the methods that are declared but do not have any implementation. 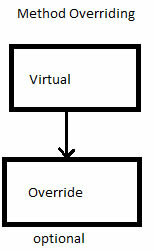 Virtual methods are used for an implementation of the type-based polymorphism. The derived class has the flexibility of re-implementing the virtual method of the base class by using the keyword ‘override’. In C#, the abstract keyword can be used with both classes and methods. Abstract methods are those methods which lack any form of implementation. However, the implementation logic is obtained by the non-abstract classes derived from them. This is achieved by overriding that method. Due to the absence of actual implementation, the body of the method remains empty. It is important to note that the declaration of an abstract method is only possible in an abstract class. The classes that cannot be initialized are known as abstract classes. A class that inherits from an abstract class must implement all the methods declared as abstract in the abstract class. Virtual is also a keyword that is associated with the modification of a method, property, indexer or event declaration. The use of this keyword allows the modification of the declared entity in a derived class. In this example, the derived class has overridden the virtual method declared in the base class. Virtual methods are used for an implementation of the type-based polymorphism. The derived class has the flexibility of re-implementing the virtual method of the base class by using the override keyword. Both virtual and abstract cannot be used along with static or virtual or override modifiers. Virtual methods are used for an implementation of the type-based polymorphism. 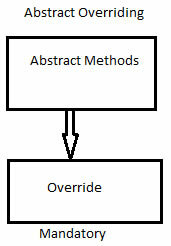 Abstract methods are the methods that are declared but do not have any implementation. Class containing virtual method can be instantiated. Class containing abstract method cannot be instantiated. It can only be inherited. Virtual method's scope to members only. Abstract method's scope to members and classes. Parent implementation will be called only in the case where no implementation is provided in the concrete class.